Srimad Bhagavatam is the purely transcendental urge of the soul. 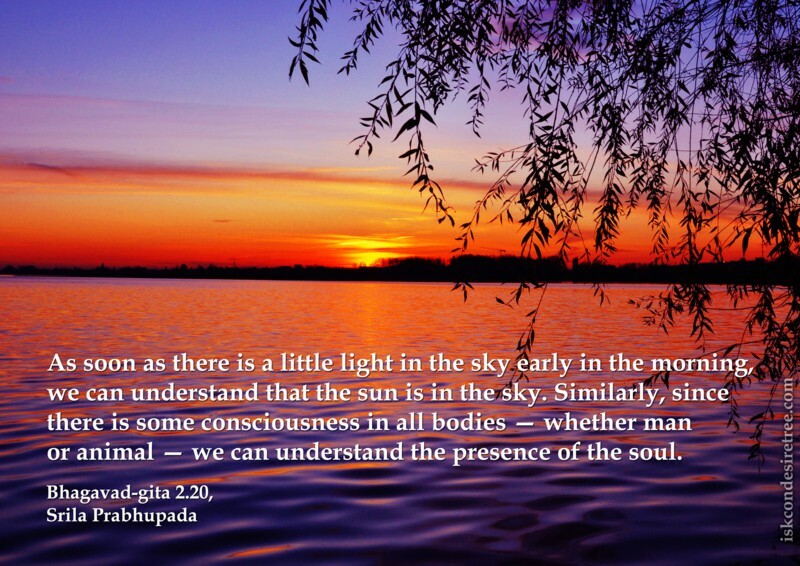 As soon as there is a little light in the sky early in the morning, we can understand that the sun is in the sky. Similarly, since there is some consciousConscness in all bodies – whether man or animal – we can understand the presence of the soul.